﻿ Are there any good reasons to worry about Ronaldo's form? 02.09.2015 » Are there any good reasons to worry about Ronaldo's form? Two games, no goals and no assists. It's an odd stat line for Cristiano Ronaldo, who has made a habit of spoiling Real Madrid fans the past five seasons. It's still early, but this year it appears the goals may be drying up a bit and frankly, that may not be such a bad thing after all. 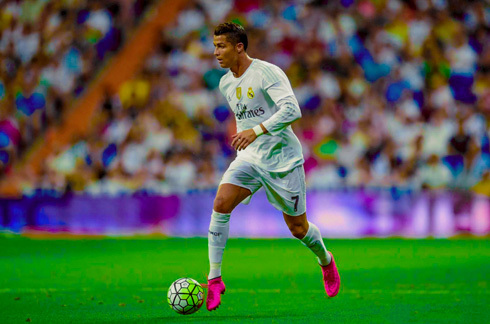 In his two La Liga appearances thus far, Ronaldo has looked uncharacteristically sloppy in front of goal. He's misfired on occasion and his first touch has been less crisp than usual, a stark contrast to a year ago, when Ronaldo opened the season with a whopping 25 goals in 14 games. Last season was Ronaldo's most prolific for Real Madrid. CR7 finished with 61 goals and a stunning record of 48 goals in the league (only two behind Lionel Messi's record of 50). It was an astounding achievement, one that the Portuguese superstar achieved by netting seven hattricks in the league. 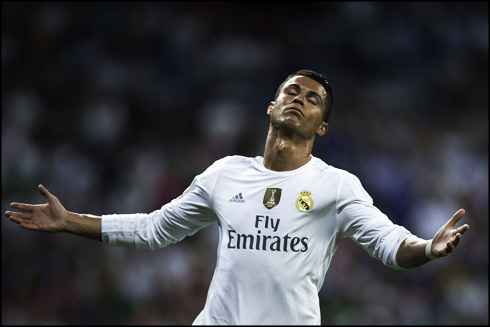 Last year, while Ronaldo seemed too preoccupied with proving his worth as a goal scorer, the pressure sometimes detracted from his performances. Of course goal scoring is the yardstick by which the Portuguese international is often measured by, but the hyper vigilant way in which he's stalked goals in the past season has been a detriment to no one other than Ronaldo himself. When Cristiano is in full flight, happy, confident and most of all, not pressing, he is at his most dangerous. That's the Ronaldo that Madrid needs this season and it's the Ronaldo I believe they will get. I predict that last season will be the last time we see Ronaldo breaking the 60-goal mark in a single campaign. I do think he has a chance or maybe breaking 50 again, but to be honest, I foresee 40 goals a season from now on... This isn't a bad thing or a sign of clear decline. A more well rested Ronaldo gives Madrid more opportunities for trophies later in the season. No longer should he focus on netting 3, 4 or 5 goals against the minnows of La Liga, instead Ronaldo should focus his efforts on the bigger matches and when Madrid need his goals the most. Rafa Benitez's reshuffling has granted Gareth Bale more freedom to roam and the Welshman (2 goals this past weekend) will be among the top scorers this campaign. James Rodriguez has also shown he's a serious goal scoring threat and he should improve on his already high tally of 17 goals from last season. Benitez has also singled out Benzema to be among the top scorers. Thus, Madrid shouldn’t need Ronaldo's goals as much as they have in the past, instead they'll need it when it matters most! Don't be alarmed however, Ronaldo will start scoring soon and the smiles will return, sometimes he just needs one or two to really get going. But, a more balanced Madrid isn't just good for fans of the club; it's good for the man himself! Cristiano Ronaldo next game will be for Portugal, on the 4th of September of 2015, against France. You can watch Juventus live stream, Portugal vs France, Spain vs Slovakia, San Marino vs England, Belgium vs Bosnia, and Germany vs Poland, all matches provided from our football streaming game pages.